Vince Cable today announced he will resign as Lib Dem leader once Brexit is either 'resolved or stopped'. The party leader, 75, made the announcement at a speech in central London this morning where he laid out plans for a radical shake-up of the party. Sir Vince was only elected party leader last year when Tim Farron stepped down after their woeful election performance. But he has failed to boost their performance and the party has continued to be lacklustre in the polls. Making the announcement today, Sir Vince said the Liberal Democrats will hold a leadership election 'once Brexit is resolved or stopped'. 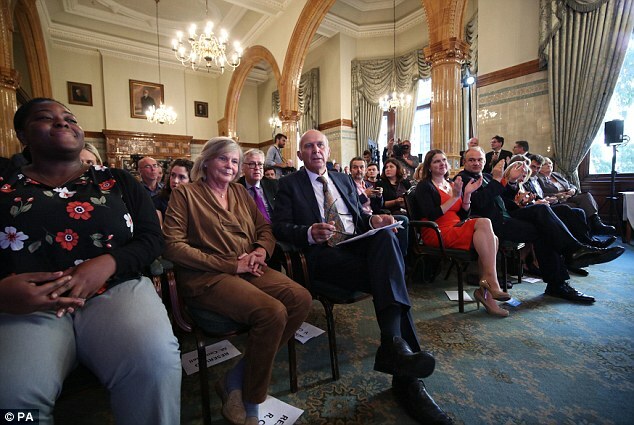 Sir Vince also laid out plans to radically transform the Lib Dems as he tries to beef up the party's appeal. He wants to change the organisation's rules so that non members can vote for the next party leader. Voters who are 'liberal-minded' will be allowed to sign up for free under plans to bolster membership, he said. The Lib Dems have languished in the polls and struggled electorally since going into government in coalition with the Conservatives in 2010. Sir Vince said he wants to create a 'movement of the moderates' that will bring together voters that loosely identify with the party. He said 'We should widen membership with a new class of supporters who pay nothing to sign up to the party's values. 'They should enjoy a range of entitlements, including the right to vote for the leadership and to shape the party's campaigning online. The speech comes ahead of the party's annual autumn conference, which begins on September 15. He said: 'Whatever rights our new supporters gain, we as a party aim to be in constant conversation with them, engaging them in campaigns and urging them to begin campaigns of their own. 'I want these not to be just about stopping things but about growing support for the things that matter to Liberal Democrat voters, and to the vast swathe of voters in the centre ground whom we are yet to persuade. 'Groups like More United, 38 Degrees, Avaaz and Change.org have shown us how these regular conversations can happen, how we can engage hundreds of thousands of people online. 'I want our party to do that and to offer our movement a political arm within Parliament. Labour reformed its membership rules under Ed Miliband but the changes led to claims it had fuelled 'entryism', where members of other groups infiltrate a party to subvert it with their own agenda. 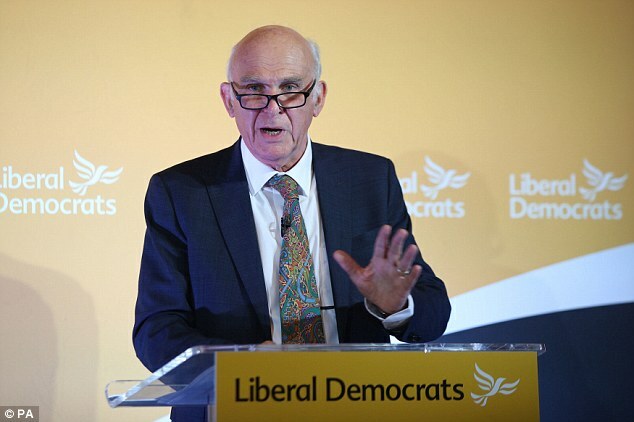 Sir Vince added: 'The Liberal Democrats are not a socialist party concerned with extreme-left entryism or a right-wing party trying to keep out extreme right-wingers. 'We are a centre-ground, pro-European, liberal and social democratic party, welcoming like-minded supporters.